Gynny is from the breeding between HRCH Rusty MH and SHR Sage JH CGC CGCA. Sage was owned by our good friend Laura of Sagecreek. We owned Oakley, Gynny's sister and sold her back to Laura. When Gynny come available to purchase we knew exactly what she would be! Gynny has not disappointed us. She is a kind, loving girl. Gynny is very driven and well mannered. 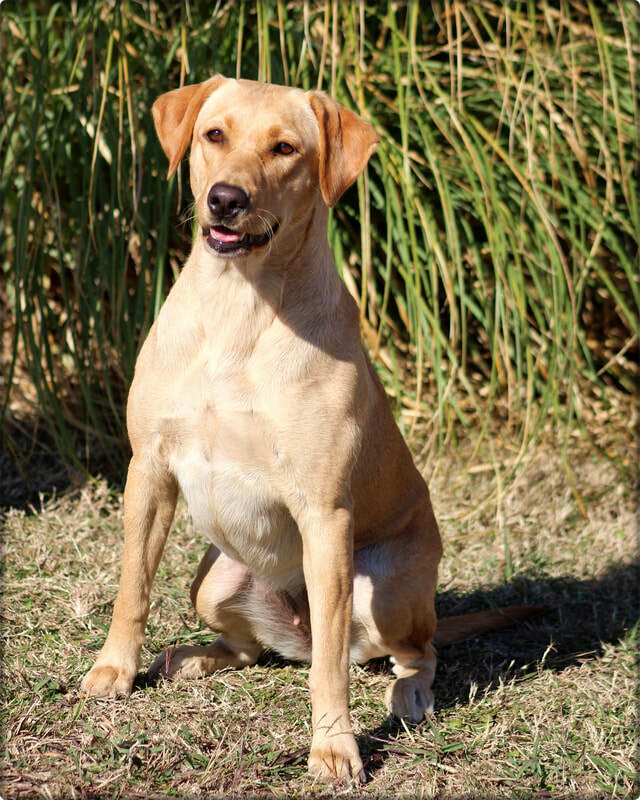 She is the perfect all around dog who can be a great family dog and a avid hunter. Gynny loves to go hunting with us even if its just sitting in the deer blind or hunting squirrels, she loves to join us on all types of hunts.